Similar to buying a used car, purchasing a used generator has significant cost advantages over purchasing a new generator set. With a few precautions, you can find a reliable generator at an affordable price. Let’s look at some common mistakes and how you can avoid them. There are thousands of used generators on the market. Narrow down your search by focusing on the top brands. Cummins and Caterpillar each have stellar reputations for making long-lasting, reliable generator sets. It’s common for a CAT marine generator to still be in service after 30 years. Cummins diesel generator sets have proven themselves repeatedly with standby and portable models. There are many good brands but start with the best. If you can’t find one that fits your needs, you can expand your search. This is one of the most common mistakes buyers make because it can take a little digging. Even a generator set from a reputable company like Cummins or Onan needs regular maintenance to stay in top form. Ask for service records about breakdowns and repairs, but also look for evidence of routine maintenance on power units, transfer switches, and generator ends. If the seller contracted with certified maintenance professionals, these records should be available even if you have to get them from the service provider. If there are no service records, that is a red flag. There may be a reasonable explanation such as a bankruptcy sale or death of an owner, but you need to investigate. It’s always a wise to hire certified technicians for a full inspection and load testing, but in this case, it is essential. Once you have the maintenance records, the next step is to compare them to the manufacturer’s recommended service. The seller may have a copy, or you can contact the manufacturer directly. Look for any discrepancies or signs of procrastination. A few mistakes are standard, but if you see a pattern showing that maintenance was delayed (or never completed), then investigate further. If you are satisfied with the maintenance history of the used generator, schedule a full inspection and load test from certified technicians. This can be expensive, but if you’ve done your due diligence, then it will confirm your research. Even the best-maintained equipment can develop problems. A thorough inspection will identify issues and potential weaknesses. A generator load test (sometimes called a load bank test) checks that a generator can perform at the level you need in an emergency. After the inspector checks the physical components of the generator, she will attach it to a machine that forces the engine to critical operating pressures and temperatures. This is particularly important for generators that have not run for a while or that have functioned primarily on standby. When a generator passes a load test, then you know you can depend on it to run as expected. No-load testing looks for signs of wet stacking. 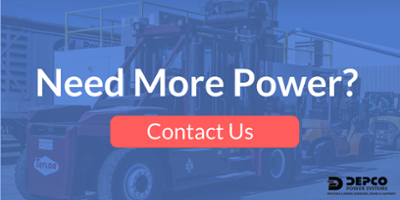 If a diesel generator is underloaded or only runs intermittently, unburned fuel or carbon can accumulate in the exhaust system. This “wet stacking” can block your generator from reaching the optimal temperature. Not only will your generator not perform at an optimal level, but wet stacking can damage cylinder walls and pistons. If the generator you are considering shows evidence of wet stacking, then it will likely have a shorter life and require more maintenance. A used generator can be as reliable as a brand new generator set, but there are a few mistakes to avoid. Start your search with top-quality manufacturers, then expand if necessary. Take the time to read maintenance records thoroughly. Finally, schedule a thorough inspection with a certified technician.